STEEL AND BONE - There's Something Inside | Warped Factor - Words in the Key of Geek. Every now and then a book will change your life. For me, that book comes out on 27th June 2015. It's called "Steel and Bone". Now, I’m not saying that this is going to be a groundbreaking, genre-defining, best book ever (it will though, really). But it will definitely be the book that changes my life. Let me tell you a little about "Steel and Bone". 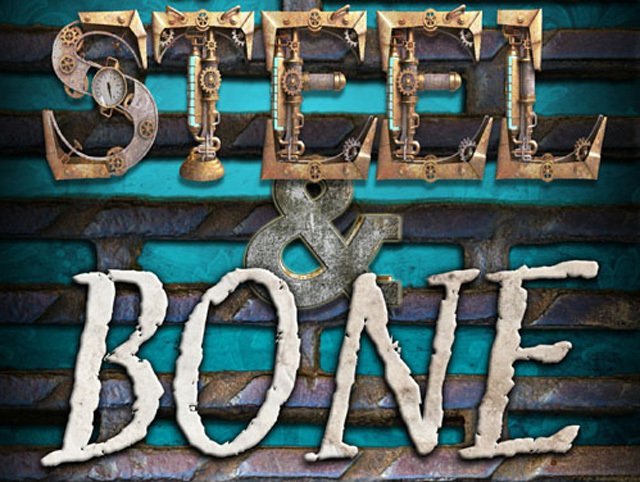 Published by Xchyler Publishing, based in the USA, "Steel and Bone" is an anthology of nine steampunk adventures. For those who don't know (and shame on you) steampunk is a genre of science fiction, and sometimes fantasy, that includes technology and aesthetic designs inspired by 19th-century steam-powered machinery. Think Eleventh Doctor’s first Tardis and you’re pretty much there. Steampunk stories often have a Victoriana feel or an alternative history setting, though like all the best genres, there's massive scope for where you go with it. 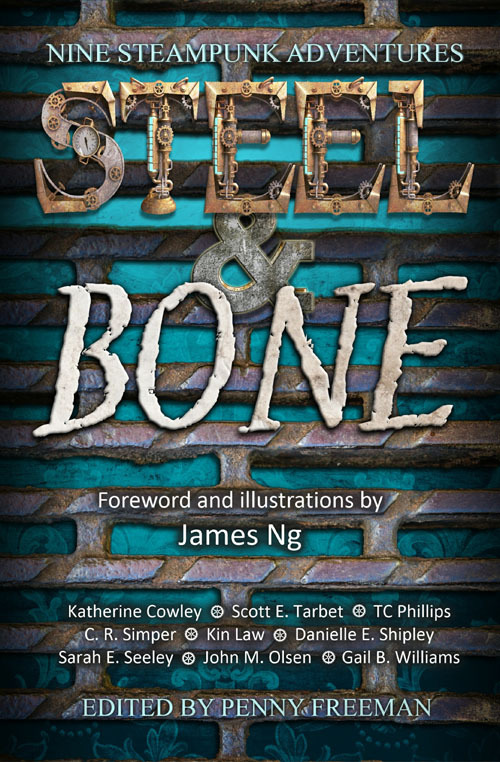 The stories in Steel and Bone are all around the 10,000 word mark, and have been written by nine authors from around the world. Obviously, being an American anthology, most of the authors are American, but there are a couple of Brits and a Aussie too. The stories are all very individual and different, each one coming from an open call for submissions under the banner "The Mysterious Island of..."
Here's a quick rundown of the nine stories. Stand and Deliver by TC Phillips: Neither shackles, slave labour, nor the island’s deadliest inhabitants will prevent these brothers from meting out justice to their father’s murderers. What you have there is a great mix of compelling reads. And there's more - the foreword and illustrations are being provided by James Ng (Pronounced Ing). James was born in Hong Kong, but he’s spent a lot of time travelling, which has greatly influenced him, allowing him to combine Eastern and Western cultures in his artwork. Currently James is enjoying the freedom of being a freelance concept artist and illustrator. I think his artwork is incredible, particularly and lovingly detailed. In case you missed it (knew I should have demanded a bigger font), that’s me – Gail B Williams, finally published. I mean, technically, I’ve been published before (my novel, Foreshadows is still available, but that was self-published, and I’ve also had some other stories published too, but not for anything as vulgar and wonderful as money). This is the book that sees me published by someone else. For money, no less! Now I know what you’re thinking – that’ll be her off to enjoy a champagne lifestyle then, leaving us geeks in the dust and going to hang out with Hollywood’s finest. Relax - my lifestyle isn't about to change, the 9-5 will stay in place, and I'll still be reviewing comics, editing other peoples novels and going cap in hand to agents and publishers trying to get my novels accepted, but this is still huge for me. It's a change, a boost, an affirmation that I can write and that I'm not completely wasting my time when I do so. The book comes out on June 27th, in both ebook and physical formats. The publishers are doing a book bomb on the day. To find out more, see the Steel and Bone Facebook page. Go on –get your steampunk on, have a look at the book (Steel and Bone on Amazon) and help a struggling author or nine.